Our bindery department operates under a meticulous standard of excellence in the final stage before any product is handed over to the customer. 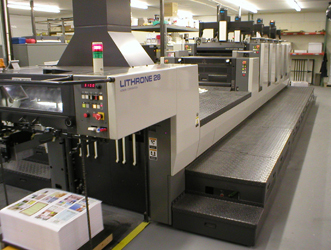 Hurricane offers a vast array of bindery services such as scoring, perforating, folding, padding, spiral & plastic comb binding, saddle binding, drilling, shrink wrapping, and envelope inserting. 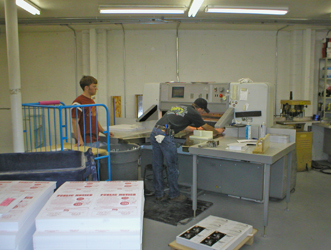 Hurricane Printing is the largest bulk mailer within a 300 mile radius in West Texas. Hurricane mails in one day what the leading competitor mails in a month. If it's anywhere in the United States, Hurricane will deliver. Hurricane operates a fully automated direct-to-plate pre-press system. 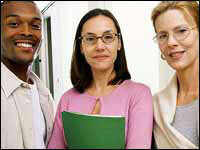 If a quick turn-around is what you are seeking, then Hurricane can print it faster than you can pay for it. 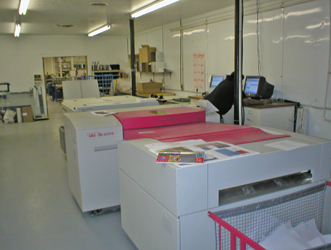 Our printing services include 1, 2 & 4 color process, brochures, flyers, newsletters, calendars, letterheads, envelopes, books, posters & postcards. If it's superior quality you seek, then Hurricane can accomodate with our "Photographic High Definition" image process that creates brilliant colors and rising dimensions. The proof is in the print.